In today's article, we are going to look at 6 tips that you may have never thought of before, which will help you to take your bathroom to the next level! And since we are talking about such an important environment, these tips will also provide a practical guide to remodeling the bathroom without spending too much. Because as we all know, the bathroom has its own demands when it comes to decor and design. Because of the complexity of the functions as well as the unique features in this space, including the plumbing, it has a very specific set of characteristics that differentiates it from any other environment in the home. It can also be a challenge decor wise as this environment often steams up and involves a lot of moisture. Thus the decor needs to be functional yet attractive. 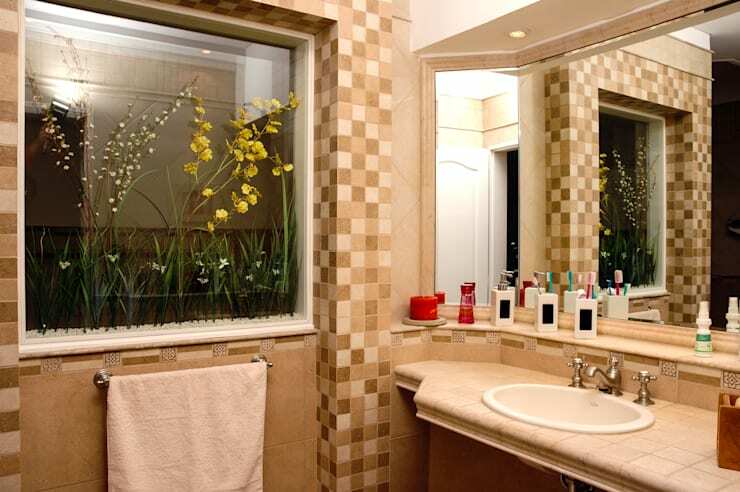 Thus the goal is a bathroom that meets all of its functional purposes, while remaining tranquil and serene. This is why we at homify would like you to accompany us on this tour of 6 bathrooms, which inspire and delight! Wood is the warmest material when it comes to building and decor. It has not traditionally been used in the bathroom because it is susceptible to moisture, which is often found in these environments. The truth is that with the right kind of wood and treatment, it is very easy to incorporate it into the bathroom, making this environment a welcoming space that reminds us of our favourite spa! 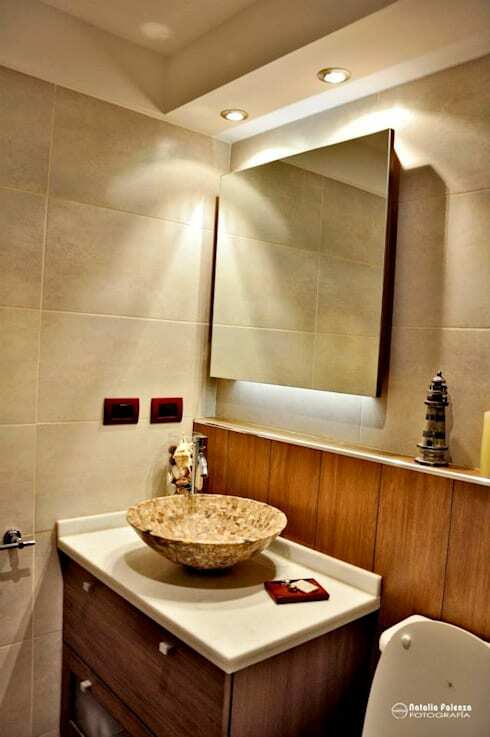 Play with the shape of the mirror to create a very attractive look and feel in the bathroom as well as depth perception. It will make the bathroom look much bigger and more expansive. Use a few more glass ornaments and features in this space, like design professionals Carbone Fernandez Architects have done here. This will create attractive optical effects that create a beautiful and appealing space. 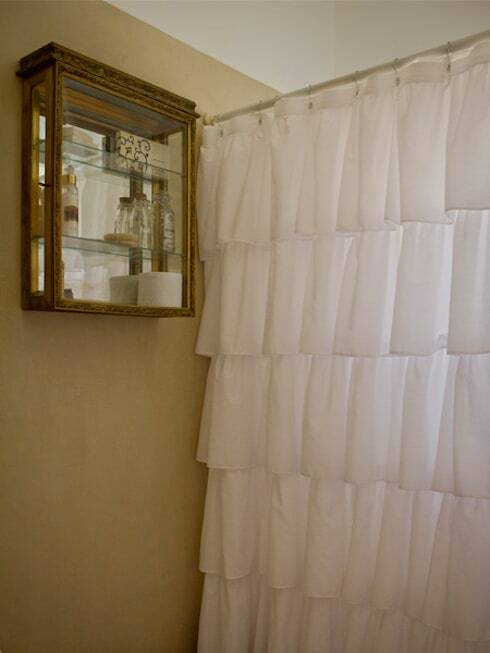 The shower curtain is an opportunity to add a gorgeous, decorative touch to your bathroom. If you want a romantic and modern bathroom space, then there is nothing better than a curtain like the one we see in the image. 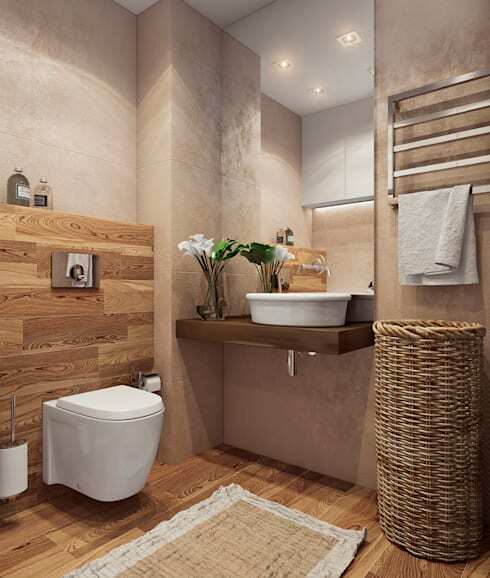 In this bathroom we can see how storage space was achieved by installing shelves across the wall. This keeps personal products, towels and items easily accessible while neatly arranged. This is a great example of how vertical space can be utilised. 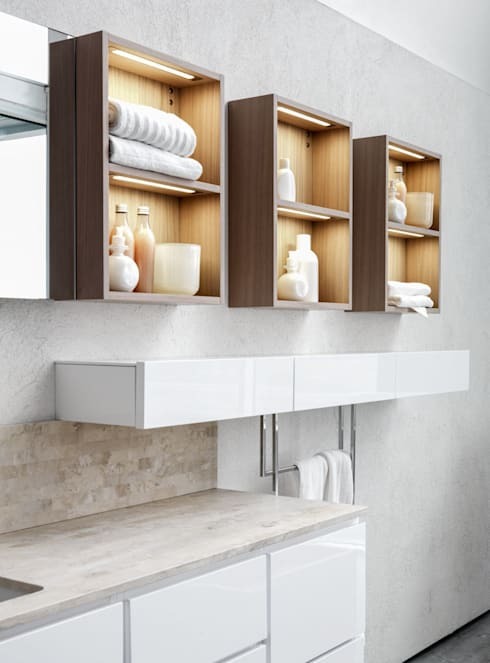 Also have a look at this article: Take Your Bathroom To The Next Level: 6 Storage Ideas. Opt for a unique washbasin that doesn't follow the same style that we find in every single bathroom. Use this feature as an opportunity to incorporate a unique and stylish touch to the kitchen. It can add so much value to the space aesthetically. When there are objects in your bathroom that you don't want to see, it's best to keep them out of sight in cabinets or drawers. 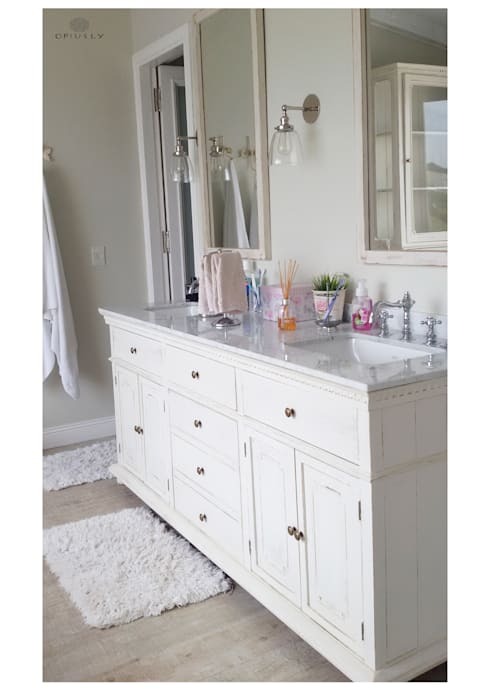 A vanity cabinet like the one we see in this design can be very valuable, making for a neat and tidy bathroom. If you've enjoyed this article, you'll love these brilliant, beautiful bathroom trends. Did you find this article useful? Comment your thoughts below!